Showing results for tags 'Carbon trap'. Hi all, I'm looking for advice on how to achieve a darker charcoal/black carbon trap finish. I'm working with Malcolm Davis Shino on bee mix & coleman porcelain. I have been unable to fire the gas reduction downdraft kiln because of work so I haven't been able to play around with it. This image was taken a while back before I really cared how heavy the carbon trap was (record record record). This is what I'm trying to achieve. 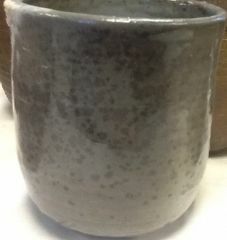 It's Malcolm Davis Shino on Coleman Porcelain with wax resist fired to cone 10 in gas reduction. Any thoughts? 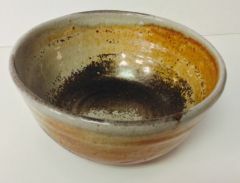 Peach shino glazed bowl, carbon trapping, woodfired.